Today, preferred methods of approaching the conservation of cities’ heritage are primarily concerned with the conservation of physical architecture and urban landscape. Conservation efforts focus on style and condition. This is because building works are a clearly perceived concrete testimony. Proof of age and authenticity are easily accepted, and they don’t in any way arouse skepticism towards their value. However, cities are also composed of cultures which are nurtured in the imagination, knowledge and abilities that enable mankind to survive, and they reflect the taste, aesthetics, ideas and beliefs that the people of one city or of one society share. We recognize that cultural values are vital to a city’s heritage, too. Culture gives a city distinctiveness and identity, a unique character that is often used as the selling point for many heritage cities, and is turned into events and products to attract tourism and generate economic gain. In these approaches to heritage, an important factor which is usually left last is people, who serve the function of cultural transfer from the past to the present and to the people of the future. People are also the agents of transformation of culture into the forms of expression of everyday life, and in the festivals of the city, connecting the city with culture. The link between three factors, people, places and culture, is like a lifeline that furthers the longevity of the city. The key point is the conservation of city heritage amidst a changing world, and an expanding global culture, which disrupt ways of life and present the greatest challenge to cultural integrity. Many heritage cities preserve the physical condition of buildings via the enforcement of rules and regulations, but with the present day cost of living and modern ways of life, which are the result of changes to the city, people in the city are no longer able or no longer wish to live in the same places at current prices. Being aware of fast changing opportunities, they quickly adapt to take advantage of new developments, the new economy, and reap the benefits. Such processes of conservation prevent many heritage cities from being able to keep locals living in the city, thereby shaking the foundations of identity of the city, creating a lack of authenticity in that most important matter of the people, those who express a culture. City development which separates the city into parts has brought problems to cities with unique identities. Many cities have become unbalanced and may never again be restored. If city conservation continues to proceed in this way, many of the world’s cities will lose their unique identities, and will end up with the same tastes and styles. Heritage Space: Conservation of heritage cities by cleansing or moving people out of the city with the view that they are in the way of the development of the landscape, or are interfering with the conservation of the architecture, as for instance in the case of the Mahakan Fort. 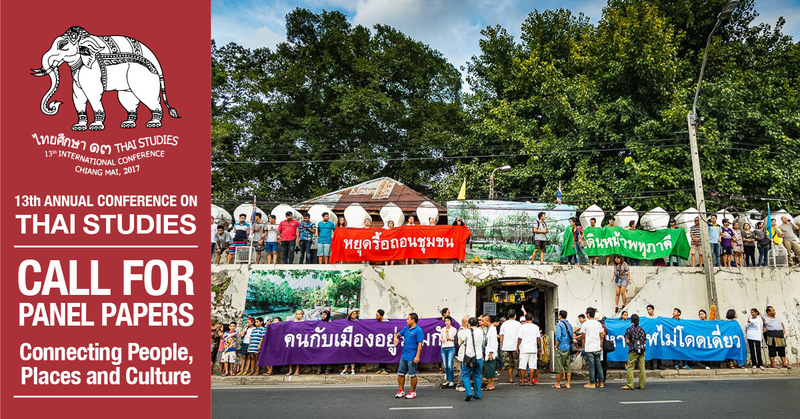 Cultural Right: The rights to collective heritage and the collective use of city spaces have been cut out of new systems of thought, which consider only the rights of individuals or of entities, as in the case of the Rawai Community. The conference topic aims to review concepts of heritage city conservation, seeks to determine positive examples of the value of heritage cities, to adapt suitable methods of conservation towards balance and towards maintaining the link between the people, places and culture of cities, which is the true meaning of city heritage.